Photo: A reason to be joyful! Girls rescued from a life of child labor in the slums are being equipped for a life of hope—at our Children’s Hope Center in Hyderabad. As a lesser-known but massive city with a population of almost 8 million, the South Indian metropolis of Hyderabad faces extreme infrastructure and poverty challenges. With an urbanization rate bringing tens of thousands of new residents into the city each month, there is simply not enough affordable housing to keep up. Thus approximately one million of the city’s inhabitants live in make-shift or semi-permanent housing with no or very limited electrical supply, and no running water. Among such conditions we find people desperate enough to work even the most demeaning jobs. And, for the sake of survival, their children or orphaned relative’s children are working alongside them. Common jobs among this destitute population include sifting through hazardous garbage to find recyclable materials redeemed for pennies per kilo. It’s in this environment that our Children’s Hope Center is bringing just that—hope, to the children of these slum colonies. Our current education center has over 40 rescued children age 5 to 7 enrolled, with several more waiting to be registered as soon as funds permit. The outreach, now in its third year of operation, is positioned right in the middle of Hyderabad’s largest slum colony on the edge of the city landfill. Our team works to convince parents or guardians to stop sending their children to collect recyclable materials in the trash dumps, demonstrating to them the benefits of enrolling their children in the center. But now that we’ve established a good reputation, there is less convincing to do, and a wait list continues to grow. 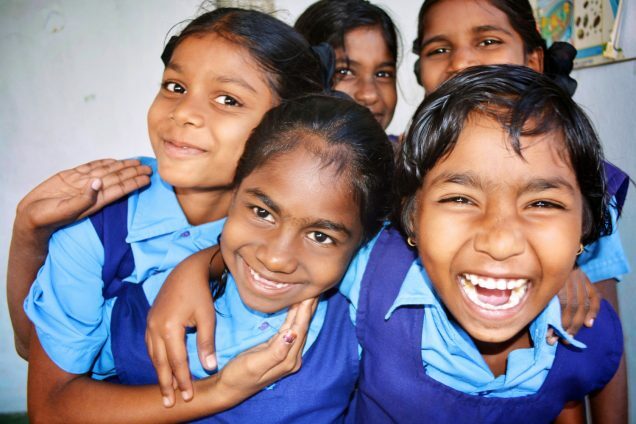 Once enrolled in the program, these children rescued from child labor are able to receive a good education and are given ample hygiene and nutritional support including fresh-cooked meals, computer literacy, and tutoring services. On Sundays, the children are invited to participate in a “Vacation Bible School” style afternoon of fun and games. Recently, funds were provided for a new set of desks and chairs to enhance the main room for an improved learning environment. Electrical supply has been very unreliable. One of our dreams for the center is a solar power solution, but until funds are provided we are happy with the power backup supply we have for the computer lab. We’re currently seeking more scholarships to bring in more of the children on the waiting list for this center. Please follow the Take Action link below to help.